No GPS tracker yet? Find affordable GPS trackers for people, vehicle, OBD, dogs or fleet enterprise management including FREE live tracking platform. 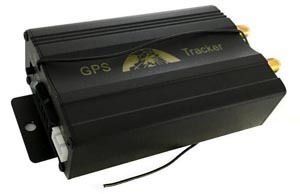 All GPS tracking devices mentioned below are compatible with our FREE GPS tracking platform. There are many more devices in the market and there are also many more trackers compatible with our GPS tracking servers but we decided to show only those trackers which are high rated by our technical support and our customers. This tracker is also called TK103A/B and of course one of the most well known trackers in the world. It is cheap, affordable and running fine. You can order the GPS103B at Amazon US (FREE US shipping) (~ 31.74 USD)1. This tracker is also manufactored by Coban (already mentioned above). The GPS306 is an OBD tracker and also called Plug and Play GPS tracker because it only needs to be plugged into the OBD port of your vehicle and immediately ready to monitor. 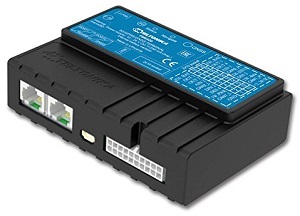 You can order the COBAN GPS306 OBD vehicle tracker via Amazon (~ 52.99 USD)1 by this link. 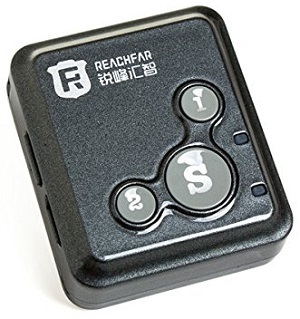 The ReachFar RF-V16 is one of the smallest trackers all over the world. With its weight of ~ 27 gr it is really lightweight and easy to use in remote controlled flight models like drones and multicopters. This tracker supports dual talk so you can call the tracker and the tracker can call you. Just check the offer ReachFar Black RF-V16 Portable SOS Dual Talk via Amazon (~ 36.99 USD)1 by this link. Do not forget - suitable SIM cards for your GPS Trackers - You need a SIM card to use your GPS tracker. Without SIM it is useless. Just visit our international SIM cards for your GPS tracker section to find the cheapest and working SIM cards for europe, US, UK and switzerland. The LK209C (Xeelectech) is a longlife tracker with a huge 20.000 mAh battery with a possible standby time larger than 6 month. 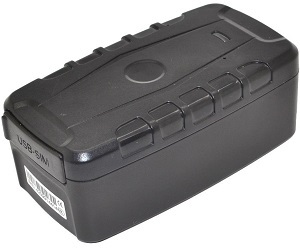 With a built-in power magnet the tracker can be simply attached to a car, truck or a container. This tracker is usually used if there is no external power supply or a fixed installation is undesirable. As usual you can order the 3G GPS Car Vehicle Locator and Tracker LK209C (Xeelectech) with 20000mAh Battery via Amazon (~ 108.00 USD)1. Using this dog / pet GPS tracker collar makes it easy to track your pet in case of lost your pet or a stolen pet. It supports tracking by text message / SMS and GPS tracking platform. Supporting A-GPS ensures a high speed GPS fix. The package includes a GPS Tracker, a collar, the user manual and an USB cable. This tracker supports all GSM networks (quad band) so you can use this tracker nearly all over the world. 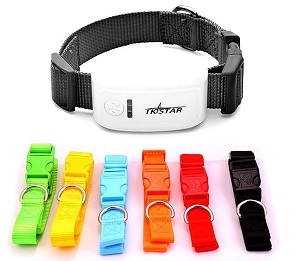 As always you can order the TKSTAR / LKSTAR TK909 Dog GPS Tracker (Pet collar) via Amazon (~ 52.99 USD)1. Teltonika is one the most known GPS tracking device supplier. Teltonika is not really cheap but offers the best quality we have ever seen. These trackers (no matter if the small FM1100 or the large FM6320 enterprise tracker) offers a huge bunch of features such as eco driving mode, roaming mode, 1-Wire(R) temperature monitoring interface and many more. 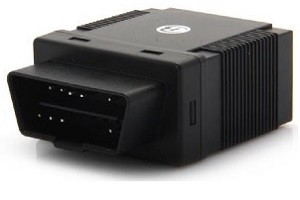 You can also switch output relay (s) - for example for cutting engine / ignition or interrupt fuel in case of theft. Click here to order the Teltonika FM6320 Dual SIM Fleet Management System via Amazon (~ 157.54 USD)1. But why only a four of five star rating? All trackers mentioned above can be configured by text message / SMS. Teltonika device are such complex that you need to connect by USB. This is a little bit uncomfortable.